“We congratulate @ISRO for its Mars arrival! @MarsOrbiter joins the missions studying the Red Planet,” the agency tweeted. From early in the morning, there was an atmosphere of excitement and tension at the Indian Space Agency’s Mission Tracking Centre in Bangalore. Scientists, many of them women and several of them young, were seated in front of their computer monitors tracking the progress of Mangalyaan. Giant screens above their heads fed a steady stream of data, graphics and sequence of operations. 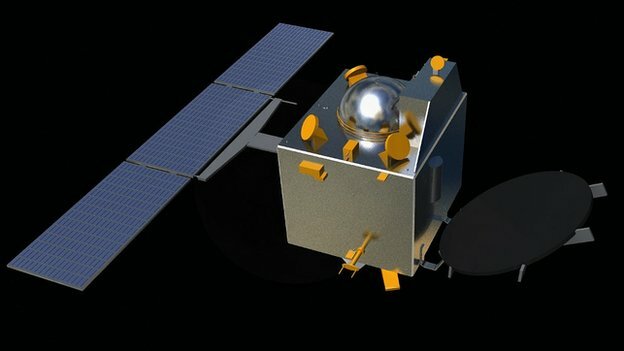 The first whoops broke out when Mangalyaan successfully fired up its liquid engine, the first in a series of critical moves to make sure that the spacecraft was able to launch into the planet’s gravitational pull. Then there was an agonising 20 minutes, when Mangalyaan disappeared behind Mars and beyond contact. But there was no mistaking the moment, when the scientists all rose as one, cheered, clapped, hugged each other and exchanged high fives – ­ confirmation that Mangalyaan was now on an elliptical orbit around Mars. After PM Modi’s congratulations, they poured out into the open and the bright sunlight, beaming as they took in the adulation. “If our cricket team wins a tournament, the nation celebrates. Our scientists’ achievement is greater,” he said. The total cost of the Indian mission has been put at 4.5bn rupees ($74m; £45m), which makes it one of the cheapest interplanetary space missions ever. Nasa’s recent Maven mission cost $671m. The Mangalyaan probe will now set about taking pictures of the planet and studying its atmosphere. One key goal is to try to detect methane in the Martian air, which could be an indicator of biological activity at, or more likely just below, the surface. Nasa has put four robot rovers on Mars since 1997 – the latest and biggest of them all, the one-tonne vehicle known as Curiosity, landed on the Red Planet in August 2012. Unlike Curiosity, the Indian probe will not land on Mars. Mangalyaan – more formally referred to as Mars Orbiter Mission (MOM) – was launched from the Sriharikota spaceport on the coast of the Bay of Bengal on 5 November 2013.